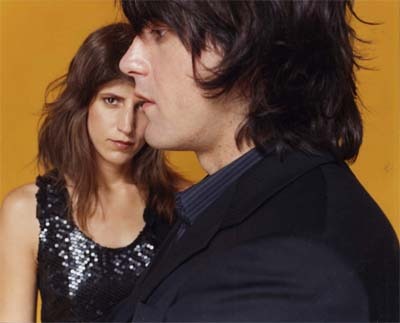 Thursday, June 22, 9 p.m.
How does Eleanor Friedberger, half of the brother-sister team called The Fiery Furnaces, react when told that someone's been listening to their new CD, Bitter Tea, all day? With an apology. "I'm sorry," she says, with nothing to apologize for except creating a ballistically quirky record that's impossible to ignore when blasting through your speakers. Try reading, writing, carrying on a conversation, doing almost anything with Bitter Tea's constantly shifting, almost alarming songs bleating in your head. You can't do it. "You can do the dishes to it," Friedberger said while the band loaded in to LA's Henry Fonda Theater for the night's performance. "We've heard that a lot of people like to drive to it." An example of their music's extreme distraction is "Whistle Rhapsody," a laidback, piano-driven rocker sung by brother Matthew Friedberger in a voice reminiscent of Imagine-era John Lennon. The song draws you in with its simple melody only to be cut in two by a 15-second ear-piercing synth tone that sounds like a bomb dropping from the sky. "The Vietnamese Telephone Ministry" is one of a few songs that feature eerie backward tracking, as if Satan himself were channeling the duo. But perhaps most bracing is the sudden shift in rhythms and melodies and synthesizer tones that fly out of nowhere on just about every track. Eleanor says there's a method to this infectious madness. "It all happens in Matt's head," she said. "He can justify all of that stuff. The backward stuff is a beautiful sound, like using reverb. It's a sound we grew up listening to on classic rock radio. You heard backward stuff all the time. It's another technique, it's not a gimmick." It also helps tell a story. 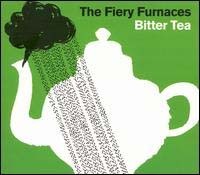 Bitter Tea, released this year on Fat Possum Records, is the first half of what was to be a two-part concept album that framed the thoughts and life of the Freidberger's grandmother, Olga Sarantos. The second half, Rehearsing My Choir, was recorded with Sarantos and released in late 2005 on Rough Trade Records. "Bitter Tea was the young girl's point of view, while Rehearsing My Choir is an older woman's point of view," Eleanor said. "The girl had overly dramatic, evil, menacing things going on in her head, represented by the backward tracking." The plan was to release the two parts together as one double album. "The record label thought it would be better as two separate products," Eleanor said. "They work well together and would have been an impressive package to have been released together." Maybe it'll happen in 15 years, when the recordings' rights revert back to the duo. "We'll be 50 by then," she said. And very likely still performing together. Born and raised in Oak Park, Illinois, the siblings didn't start making music together until they were in their mid-20s and living in Brooklyn. Their debut, Gallowsbird's Bark, was released in 2003 and became a favorite among critics and NPR-minded music-lovers willing to take a chance on their playful, theatrical and thoughtful style of music. The follow-up, 2004's Blueberry Boat, proved just as challenging in its whimsical madness.
" The backward stuff is a beautiful sound, like using reverb. It's a sound we grew up listening to on classic rock radio." "We can scream at each other and it's forgotten an hour later." While Matthew writes all the songs, Eleanor helps with the lyrics. "The music is the result of all different methods," she said of the songwriting. "I'll have a couple chords and a melody and than Matt will add lots of overdubs and rearrange stuff, or Matt might have a whole song written and then ask me to re-sing it at the piano." Their brother-sister relationship helps make it work, Eleanor said, adding that they're siblings first and band members second. "We get along really well, and if anything it helps being siblings because we're quick to forgive and let things slide off our backs," she said. "If two guys are in a band and say 'F*** you, this is terrible' they get hurt. That's why bands break up; they don't know how to argue and make up. We can scream at each other and it's forgotten an hour later." Or certainly by the time they reach the stage. For their live show, Eleanor says the band makes no effort to recreate what's heard on the record. In fact, for this tour, Matthew left the synthesizer at home in favor of wielding a guitar. The band also features drummer Bob D'Amico and bass player Jason Loewenstein -- yes that Jason Loewenstein, the one from Sebadoh. "I wasn't a Sebadoh fan when I met him," Eleanor said. "I was always a Dinosaur Jr. fan and didn't think about anything else. I never saw Sebadoh perform, but some people at shows are, like, 'Jason!'" Why no keyboards? "We have to compete with people drinking beer and talking," she said. "I don't like bands to tell people to sit down and be quiet. We prefer to be loud and smash things over their heads. You can expect a loud, aggressive show that's completely different than the record. "We've never played in Omaha before, so it'll be new for everyone," Eleanor said, adding that her only Omaha experience was coming to town for a softball tournament as a member of the Oak Park Windmills at age 12 or 13. "We came in third." Published in The Omaha Reader June 21, 2006. Copyright © 2006 Tim McMahan. All rights reserved.